The latest news from Kid Friendly TV are my all new Kid Friendly LEGO Worlds videos! I was recently sent a review copy of LEGO Worlds for my YouTube channel. So far, I’ve been having a lot of fun playing the game. I’m excited to share that every Tuesday I’ll be launching a new mission video over the next few months. During my Kid Friendly LEGO Worlds Videos I basically I run around and find cool things to do and stuff to grab. In one of my videos, I found a tree with eyeballs. I really begged my mom to let me put in the part with “the tree has eyeballs”!!! Anyways I really like playing LEGO Worlds. I basically run around discover things, dig holes, trap friends, build houses and copy things for future building. I love that I can go to different planets and explore all kinds of new LEGO things. Since the game is so colorful and bright it makes playing it for YouTube really fun. It’s also super fun to let loose and share my gaming experience with my subscribers, so thank you if you’re already following. Of course, all my content is “kid friendly”. My mom and I created this channel because I love YouTube and she thought there wasn’t enough Kid Friendly stuff on there. We share kid adventures (from my mom’s travels), gaming, toy unboxing and reviews and soon a weekly episode on my favorite YouTube videos, apps and tech. So be sure to subscribe so you don’t miss a video. We are finally just getting the time to really update it regularly. So, I hope you like it! If you’re a grown up reading this then share this link to my gaming playlist with your kids! Tell them Kid Friendly says hi and he can’t wait to game with them! If you don’t have LEGO Worlds yet you can get it here. That’s an affiliate link to Amazon at no cost to you. Play along with me and leave me comments on things you’d like to see me do! Have a super fantastic day and don’t forget to follow me on Twitter and Facebook! The Little Fairytale Traveler is known by most as "the Little" is the son of the Fairytale Traveler, Christa Thompson. At just 4 he started traveling the world with his mom. 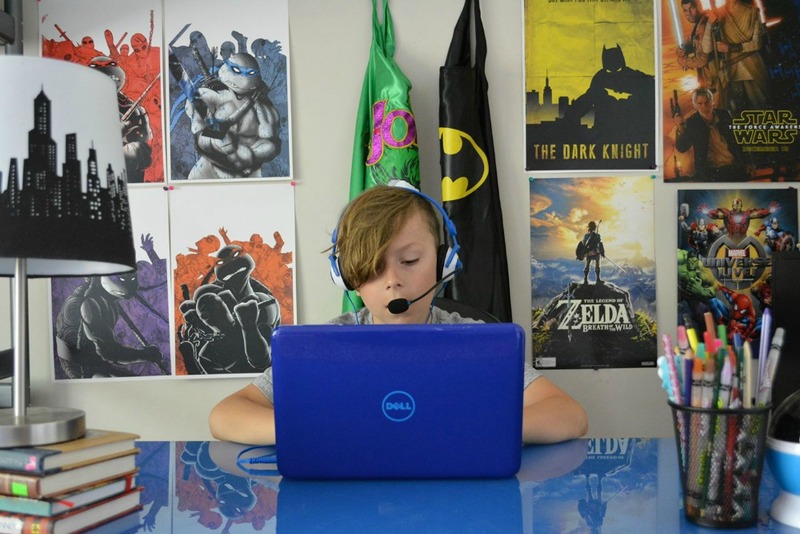 Now almost 9, he has his own YouTube channel called Kid Friendly where he vlogs game walkthroughs, toys reviews, and kid adventures. Oh my goodness this is amazing. We have a little entrepreneur here ladies and gentlemen. Awesome to support your sons creative outlet! Keep it up! That’s cool. My kiddos and siblings would love to watch those LEGO videos. Thanks for sharing. We love all things Lego around here!